12. 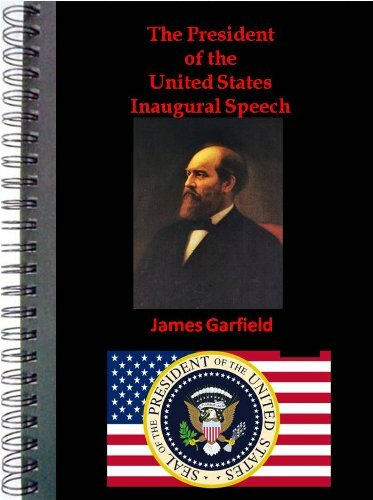 PRESIDENT GARFIELD AND EDUCATION. 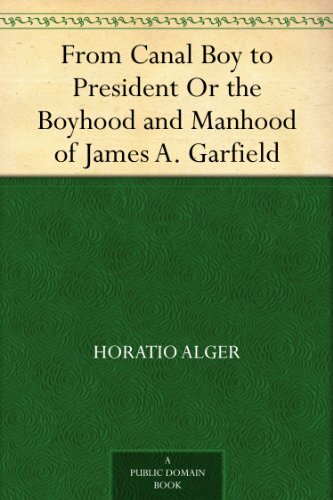 This volume comprises the Garfield-Arthur term of four years and the first term of Cleveland. The period covered is from March 4, 1881, to March 4, 1889. 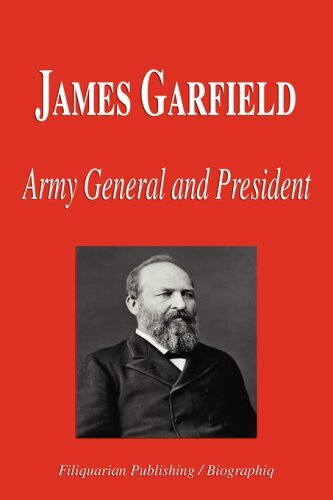 The death of President Garfield at the hand of an assassin early in his Administration created a vacancy in the office of the Chief Executive, and for the fourth time in our history the Vice-President succeeded to that office. 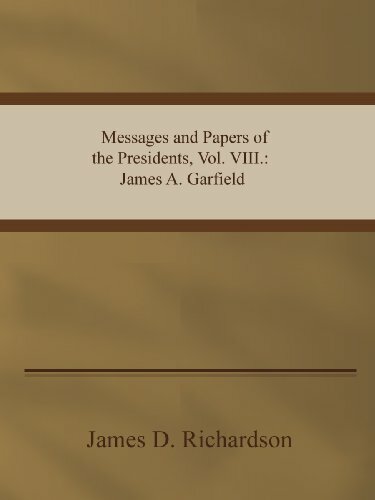 The intense excitement throughout the land brought about by the tragic death of the President, and the succession of the Vice-President, caused no dangerous strain upon our institutions, and once more proof was given, if, indeed, further evidence was required, that our Government was strong enough to quietly and peacefully endure a sudden change of rulers and of administration, no matter how distressing and odious the cause. During the Administration of President Arthur a treaty between the United States and the Republic of Nicaragua was signed, providing for an interoceanic canal across the territory of that State. An able and learned discussion of this proposition will be found among his papers. This treaty was pending when he retired from office, and was promptly withdrawn by President Cleveland. The act to regulate and improve the civil service of the United States was approved by President Arthur, and he put into operation rules and regulations wide in their scope and far-reaching for the enforcement of the measure. In his papers will be found frequent and interesting discussions of this question. His vetoes of "An act to execute certain treaty stipulations relating to Chinese" and of "An act making appropriations for the construction, repair, and preservation of certain works on rivers and harbors, and for other purposes," are interesting and effective papers. 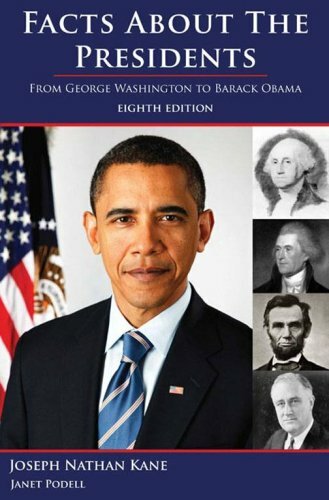 The latter half of the period comprised in this volume, as already stated, covers the Administration of Cleveland. 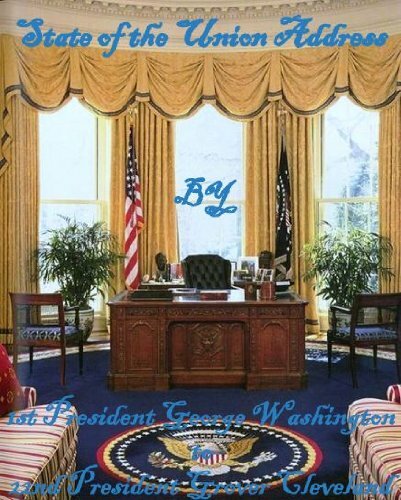 His accession to the Presidency marked the return of the Democratic party to power. 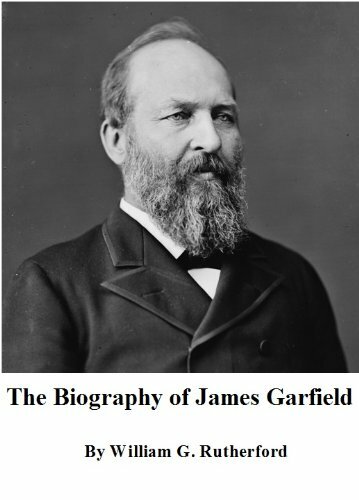 No Democrat who had been chosen by his party had held the office since the retirement of Buchanan, in 1861. 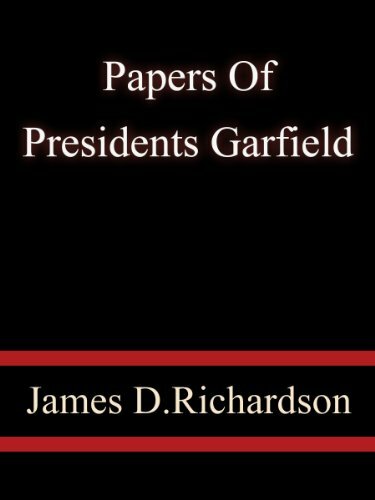 President Cleveland's papers fill 558 pages of this volume, occupying more space than any other Chief Magistrate, Andrew Johnson being next with 457 pages. 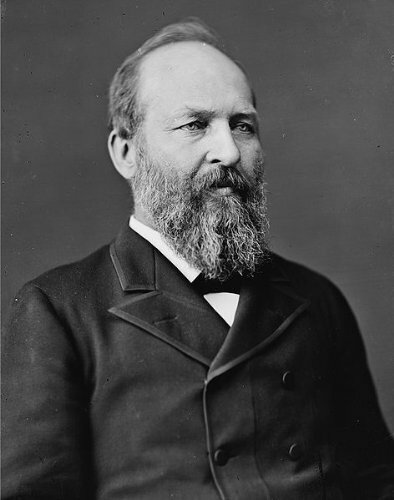 At an early date after Mr. Cleveland's inauguration he became involved in an important and rather acrimonious discussion with the Senate on the subject of suspensions from office. The Senate demanded of him and of the heads of some of the Executive Departments the reasons for the suspension of certain officials and the papers and correspondence incident thereto. In an exhaustive and interesting paper he declined to comply with the demand. 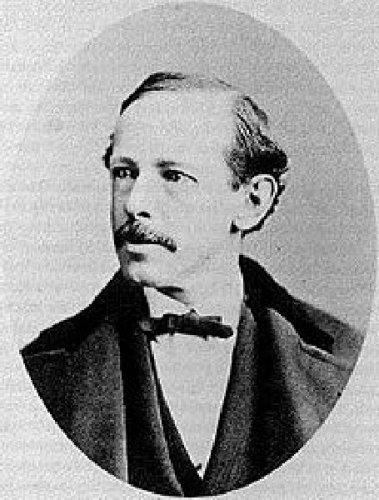 His annual message of December, 1887, was devoted exclusively to a discussion of the tariff. 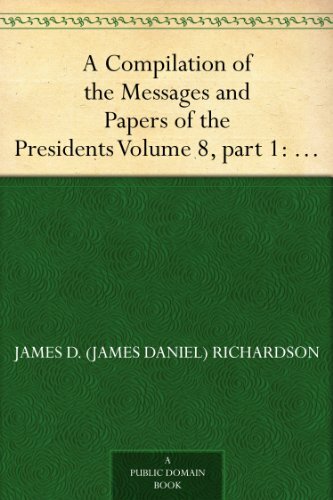 It is conceded by all to be an able document, and is the only instance where a President in his annual message made reference to only one question. His vetoes are more numerous than those of any other Chief Executive, amounting within the four years to over three hundred, or more than twice the number in the aggregate of all his predecessors. These vetoes relate to almost all subjects of legislation, but mainly to pension cases and bills providing for the erection of public buildings throughout the country. 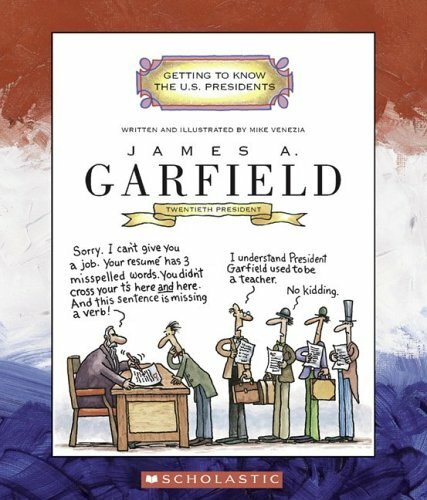 The biography of President James Garfield with an active table of contents. 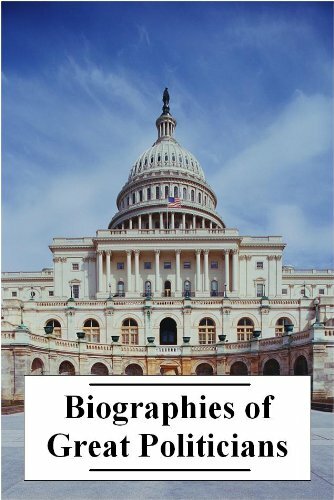 The biographies of four great political leaders. This volume was published in 1904. A FIRST WORD WITH THE READER.